Scottish Ballet has recently launched an app for iPad, free to download for users and full of secrets from behind the scenes of Scotland’s company. 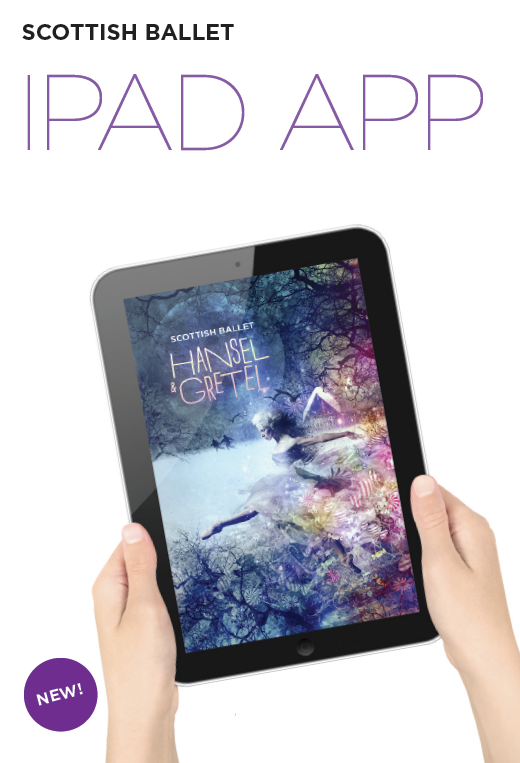 The app can be downloaded by browsing for Scottish Ballet in the App Store and tapping FREE followed by INSTALL APP. Once installed, your new app will be sitting on your Newsstand shelf waiting to be read! The app enables users to uncover the spectacular secrets behind the making of Scottish Ballet’s productions, from choreographic processes to musical scores, with Scottish Ballet’s brand new release on the iPad Newsstand. Audiences can find out more about their favourite productions and the process of staging them for Scottish Ballet. For this free issue, the app takes a look at Scottish Ballet’s next production of Hansel & Gretel, offering a glimpse backstage with features on the making of the Company’s newest production, including fascinating video interviews, photo galleries, audio excerpts, set and costume designs and the chance to find out more about this enchanting show before you go. As subscription is free, any changes made to the app will be made evident by notifications of all future Scottish Ballet Newsstand apps for iPad when they’re launched, instructing users to download the new version. New issues will also be complete with free behind the scenes galleries, interviews and much more. In another strand of success for Scottish Ballet, it was recently announced that three finalists from the prestigious Genée International Ballet Competition are now working alongside Scottish Ballet for their new production of Hansel & Gretel. Pascal Johnson, from Tring Park School for the Performing Arts, has been offered a temporary contract, and Natasha Watson (bronze medallist) and Katie Rogers are on student secondment from Ballet West and Royal Conservatoire Scotland respectively. Scottish Ballet is getting set to launch its Dance Odysseys mini-season at this year’s Edinburgh International Festival (EIF). Previous visits to the EIF have seen Scottish Ballet showcasing their technique in triple bills of choreographers such as Balanchine, Forsythe and Ashton whereas this year everything is very different. The presentation of the content is much changed in its approach, full of choreographic contrasts and alternative perspectives. Dance Odysseys seems not to be missed, presenting the company in a whole new light, full of awe and versatility. Dance Odysseys will consequently include Kenneth MacMillan’s Sea Of Troubles as a dramatic portrayal of Shakespeare’s Hamlet in addition to Artistic Director Christopher Hampson’s larger-scale Silhouette, which was first created for Royal New Zealand Ballet in 2010. The aim of Dance Odysseys is to mainly celebrate dance and classical ballet, not forgetting the iconic image of the tutu for ballet companies. Hampson maintains that there are so many other styles in the four-day festival so Scottish Ballet must embrace its roots and history therefore. As a result of what Dance Odysseys, also including talks and film screenings, has to offer over the four days, it seems the company will have its work cut out! The Scottish Ballet building is currently full of different visiting choreographers at work with the dancers, with Hampson bringing in five of the most exciting dance-makers of the moment and commissioning them to create work on the dancers. There have been a range of close encounters with unfamiliar styles through producing for the festival, opening up new horizons for Scottish Ballet. As a result Dance Odysseys will mark a turn of discovery for the company, and also for the audience in what constitutes dance as an artform. The programme contains completely contrasting styles, moods and intents, ready to present much that is new to Scottish Ballet’s audiences. Scottish Ballet is gearing up to present Matthew Bourne’s Highland Fling from the end of April until the end of May 2013, a completely different realisation of the plot in comparison to the original classical Romantic ballet La Sylphide on which Highland Fling is based and was inspired by. Directed and choreographed by Bourne and performed live by the Scottish Ballet Orchestra, the northern parts of the UK will be awash with a very different type of theatre and emotion that is usually associated with classical ballet, tutus, tights and pointe shoes. Scottish Ballet will present the work of five-time Olivier Award-winning choreographer Bourne and also gain an exclusive license to the work, which is a fantastic and imaginative reworking of the piece, translating it into a contemporary Scotch twist. First premiered in 1994, and re-choreographed and designed in 2005, Bourne’s Highland Fling has a unique twist to it. Bourne is renowned for presenting work in this way, not dissimilar to that of Scottish Ballet. The company is the first to be given an exclusive license from Bourne to present his work and it will be the first time Scottish Ballet dancers have worked with the choreographer. Bourne’s approach and technique are eagerly anticipated by the company. Highland Fling transforms La Sylphide into a story of rock and roll, and love, the addiction of James, gothic fairies, with twists and turns along the way. As James’ love for a strange and beautiful sylph becomes an obsession, he embarks on a fateful journey that takes him from the mean streets and nightclubs of Glasgow into a magical world beyond reality and reason. Scottish Ballet will be touring to Theatre Royal Glasgow 27 April-4 May, Eden Court Theatre Inverness 9-11 May, His Majesty’s Theatre Aberdeen 16-18 May and Festival Theatre Edinburgh 22-25 May. 28 January 2013 saw the 13th National Dance Awards winners announced at The Place, London. Considered by many as one of the most comprehensive list of dance achievements, 2013 certainly did not fail to deliver, providing a roundup of all the great work that was seen in 2012. The awards are decided by the 60 members of the Dance Section of the Critics’ Circle after an extensive round of nominations and voting. To be eligible to win an award, performances had to take place in the UK between 1 September 2011 and 31 August 2012. The Chairman of the Awards committee, Graham Watts OBE, spoke at the event, and dedicated the 2012 awards to the memories of the late Charles Hedges, John Percival and Freda Pitt, all of whom have died since the last awards. In the year of the Centenary of the Critics’ Circle, the combined years of membership for the three critics totalled a century. Under its new Artistic Director, Christopher Hampson, Scottish Ballet has recently unveiled its plans and aspirations for the foreseeable future. Scottish Ballet is the national dance company of Scotland, albeit the smallest of the national ballet companies in the UK, but this does not mean that Scottish Ballet are treading lightly on the rest of the ballet shoes of the dance community. The Company is looking forward to enriching, enthusing and engaging with communities, participants and audiences, tutus and all. 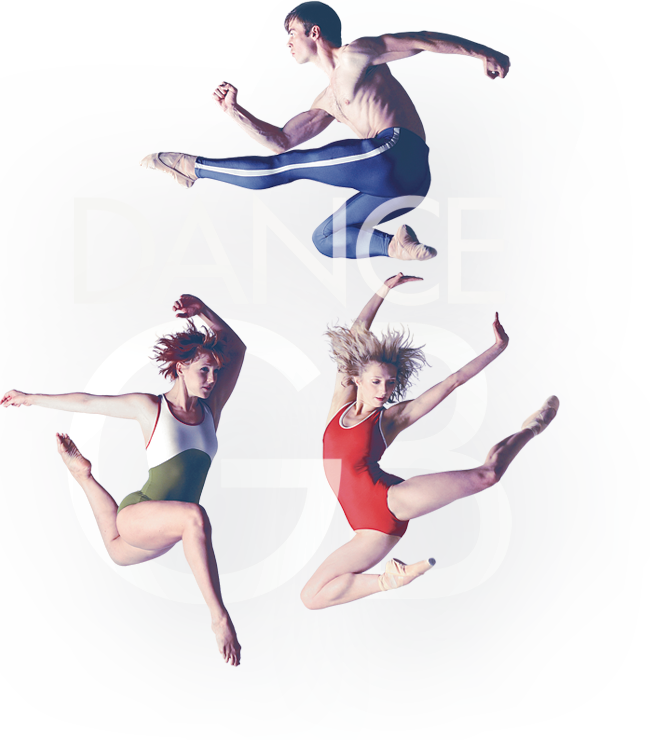 In partnership with the Royal Academy of Dance and the Royal Conservatoire of Scotland, it was announced Scottish Ballet will present the Genée International Ballet Competition in Glasgow in 2013 from 20- 29 September. Commissioning new work is just one of the other ways that Scottish Ballet is extending its reach with many female choreographers such as ex-dancer with Forsythe’s Ballet Frankfurt Helen Pickett, Associate Choreographer of Nederlands Dans Theater Crystal Pite and Royal Ballet Soloist Kristen McNally, in addition to Scottish Ballet being among the first to commission a brand-new work from 22-year-old London Contemporary Dance School graduate James Cousins who has just presented his first work at Sadler’s Wells. Cousins won the New Adventures Choreographer Award, set up by director and choreographer Matthew Bourne OBE and coincidently co-judged by Hampson. The Company will be working with a wide range of choreographers that will allow the Company to broaden the existing repertoire and produce new work in original ways for the usually leotard and tights clad dancers. The Company is also in talks with major international promoters and arts festivals in order to explore innovative ways to present their work. For the first time, Scottish Ballet will present the work of five-time Olivier Award-winning Bourne which will grant the Company an exclusive license to Bourne’s Highland Fling, inspired by La Sylphide. Scottish Ballet will tour Highland Fling across Scotland in spring 2013, spreading both Bourne’s and the Company’s influence. Hampson’s creative leadership will not only see him choreograph, but also embrace the imagination of the people of Scotland and beyond. Beginning in autumn 2012, Scottish Ballet will launch Hansel & Gretel, and Me, a new project that connects creation to education and merges artistic expression with real life, giving communities the chance to participate in ballet in the broadest possible sense. Image courtesy of the www.theedinburghblog.co.uk on Flickr.